Home | New Releases | Kevin A. Williams (WAK) Limited Edition Signed Lithograph Ed. 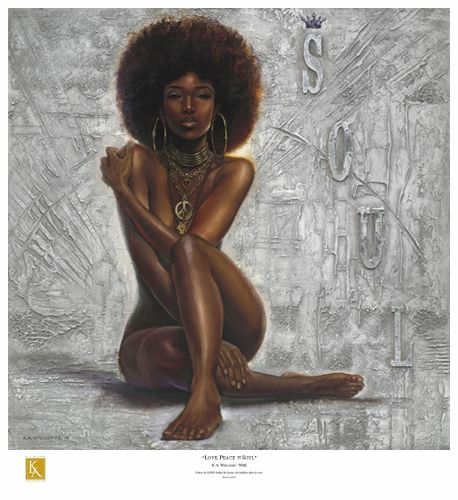 850:"Love, Peace 'n Soul"
Kevin A. Williams (WAK) Limited Edition Signed Lithograph Ed. 850:"Love, Peace 'n Soul"
Paper Size: 29-1/2" x 27"
Edition: Artist Hand Signed & Numbered Offset Lithograph ed. 850. Home | Fine Art Prints & Limited Editions | African American Fine Art | Kevin A. Williams WAK | Kevin A. Williams (WAK) Limited Edition Signed Lithograph Ed. 850:"Love, Peace 'n Soul"